"Aren't you a little sweet to be a stormtrooper?" 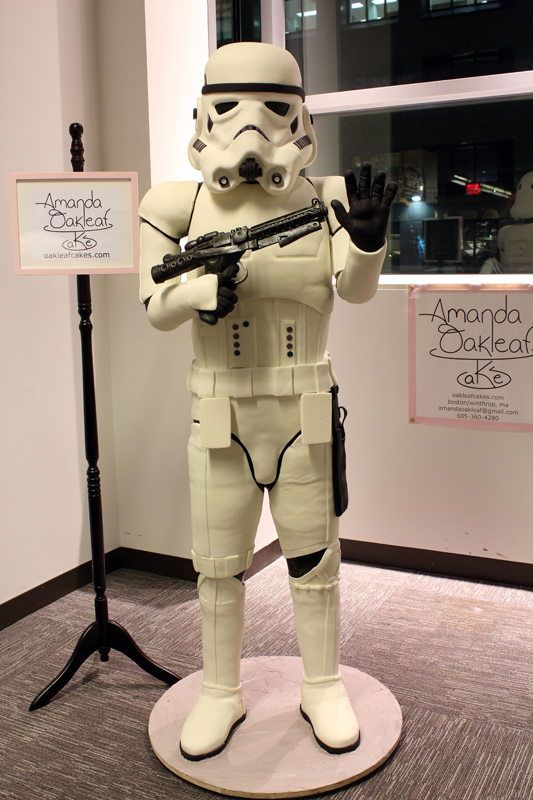 No stranger to making unique desserts for special occasions, the Oakleaf Cakes bakery decided to create something extra nerdy for the Arisa Sci-Fi Convention (and attended by our very own MovieBob) held in Boston, Massachussetts this past weekend. 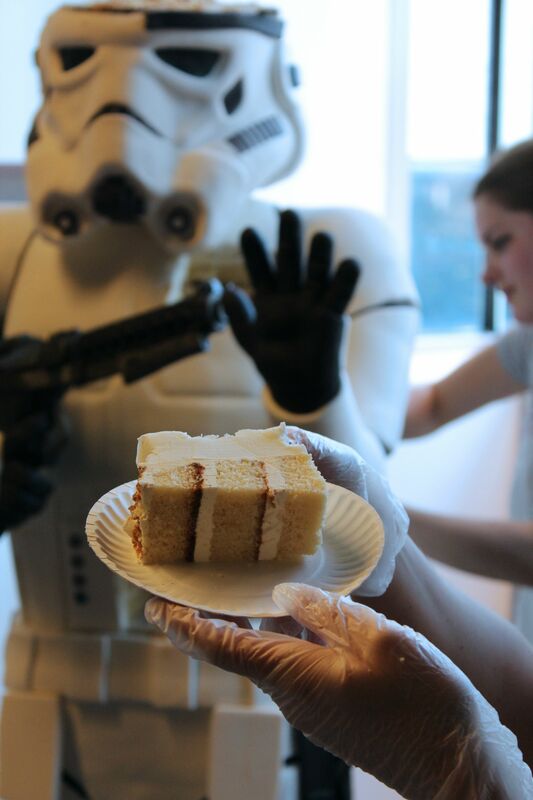 In this case, it was a life-sized Imperial Stormtrooper, almost entirely composed of delicious cake, weighing over 300 pounds and standing over 6 feet tall. 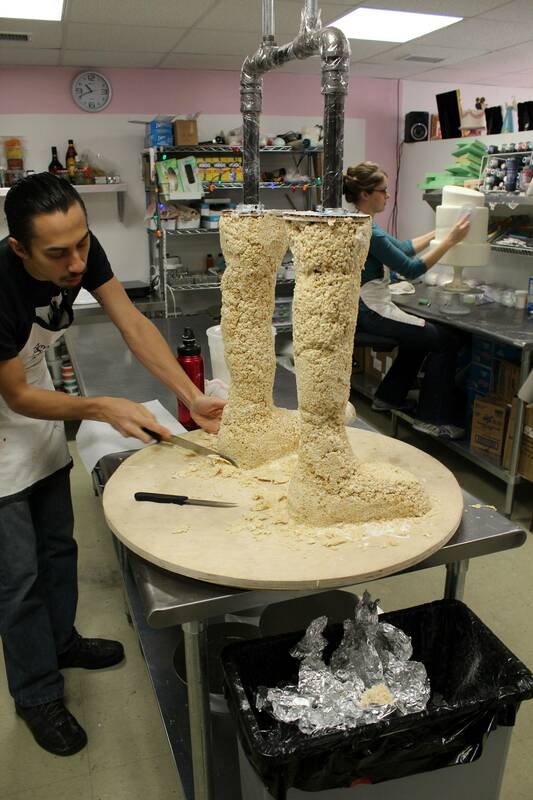 The cake itself was composed of Rice Krispy legs and a custom-made "skeleton" to keep it all in one piece. 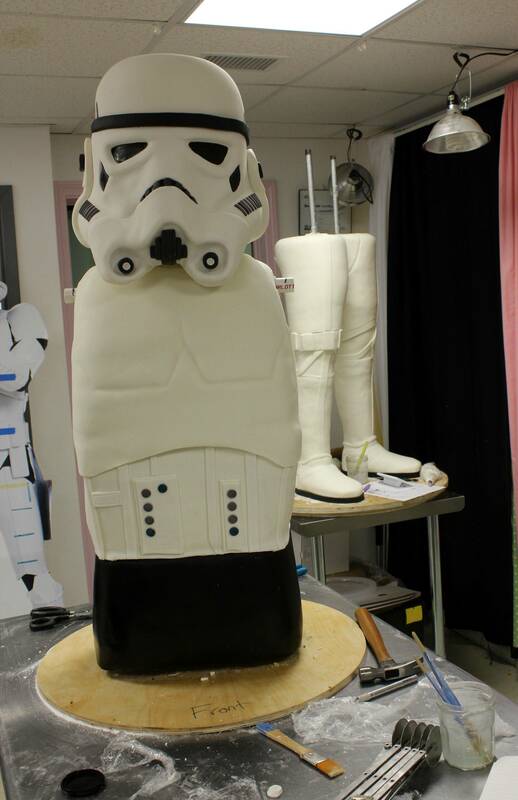 According to the bakery owner Amanda Oakleaf, it took her team a total of two weeks to put its Stormtrooper together and they had to "invent completely new cake making methods" in order to assemble the iconic Imperial soldier's light and fluffy innards. The head, arms and body armor were carved and formed using fondant, a kind of icing-like substance often used to decorate pastries. The entire construction was composed of several modular parts, allowing Oakleaf and her team to safely transport the massive cake to the the Arisa Sci-Fi Convention in different components. 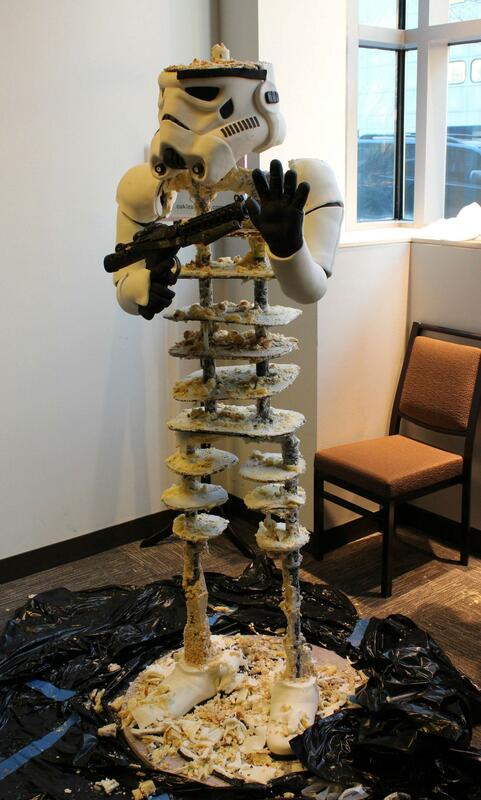 After some careful construction work, the completed Stormtrooper was happily consumed by convention goers and Star Wars fans alike.